On 06th March 2014 President of the Republic of Azerbaijan Mr. Ilham Aliyev received Ambassador of the Republic of Serbia Mr. Zoran Vajovic, who is completing his diplomatic mission in the country. Mr. Ilham Aliyev said Azerbaijan and Serbia had achieved great successes in developing relations in a variety of fields. 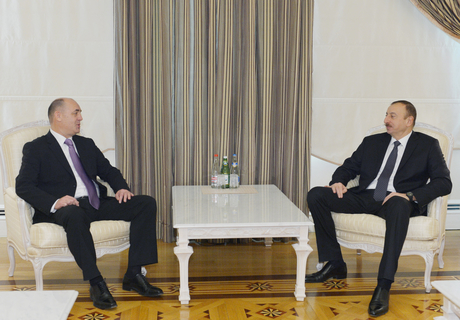 President Aliyev stressed the significance of reciprocal visits in developing the bilateral ties. The Head of State said the two countries became closer to each other in a short period of time. Hailing the contribution of Zoran Vajovic to developing the bilateral ties, the Azerbaijani President wished him successes in his future activities. Mr. Zoran Vajovic praised relations between the two countries, saying they had been rapidly developing over the last years. He described his diplomatic tenure in Baku as one of the bright and unforgettable parts of his life.